Automobili Pininfarina recently unveiled plans for a fully electric supercar that will cost at least $2 million. 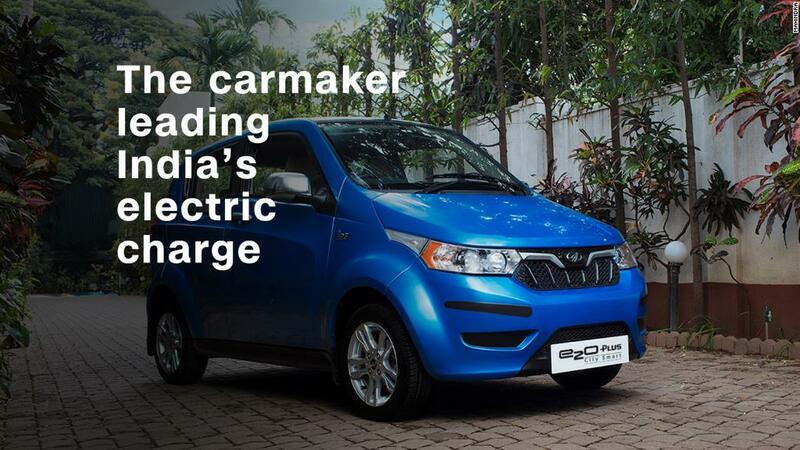 The European company is owned by Mumbai-based Mahindra, which has an expertise in making electric cars -- they just don't usually cost anything close to $2 million. Something like $11,000 is more typical. The Mahindra E2O Plus is not entirely bare bones -- offering features like remote diagnostics and a connected smart phone app -- but it is far from high performance. The 64 horsepower four-door takes 14 seconds to reach 37 miles per hour, or 60 kilometers an hour, and has a top speed of just 50 miles per hour. It costs 757,000 rupees in India, or about $11,000, for the base version. It's not the cheapest car Mahindra sells -- the automaker also offers a range of gasoline and diesel vehicles, at least one of which costs less. But, as far as electric cars go, it's as cheap as they get. On the other end of the spectrum, the $2 million Pininfarina car, with a headline-making top speed of over 250 miles an hour, provides an opportunity to explore the cutting edge of electric drive technology in ways that are only possible when cost is of no concern. The hope is that the technology that goes into the Pininfarina car will eventually make its way down the cost curve to more accessible automobiles. Meanwhile, Mahindra could use the low-cost and low-speed E2O Plus as a starting point for moving upmarket. Now the company is seriously considering entering the mainstream US market with both electric and gasoline-powered vehicles. Mahindra already sells some vehicles here but, if you don't work outdoors, you might not realize that. Best known are its farm tractors, which are built in five factories in the United States. Mahindra (MAHMF) is the third largest seller of light duty tractors in the US. The company is also expanding manufacturing for its GenZe 2.0 electric scooter. 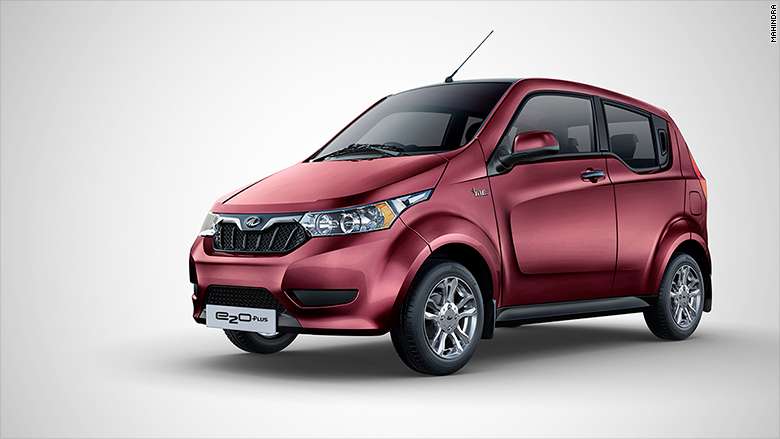 The Mahindra E2O Plus electric car retails for the equivalent of $11,000 in India. Rick Haas, president of Mahindra Automotive North America has been charged with figuring out whether the company should enter the US passenger vehicle market -- and if so, how. About a decade ago, the company had plans to come here with a small diesel pickup but ended up scrapping that idea. This time, the company is being more cautious. "If you're going to launch something large scale in the United States, you'd better do your due diligence and make sure the dogs like the dog food you're about to serve them," Haas said. The most car-like thing Mahindra currently sells in the US is the Roxor. The off-roader looks a lot like a classic World War II Jeep. That is not a coincidence. Mahindra got its start in the late 1940s with a license to build the old World War II Willys Jeep in India. That license has continued, through Jeep's various corporate owners, right up to today. It's perfectly legal to drive the Roxor anywhere in India, where it's sold as the Thar. But in the US, you can't drive it on paved roads. It doesn't meet safety requirements. Here, it competes against "side-by-side" -- meaning occupants sit next to each other -- recreational off-road machines but it's really found its market as a work vehicle. 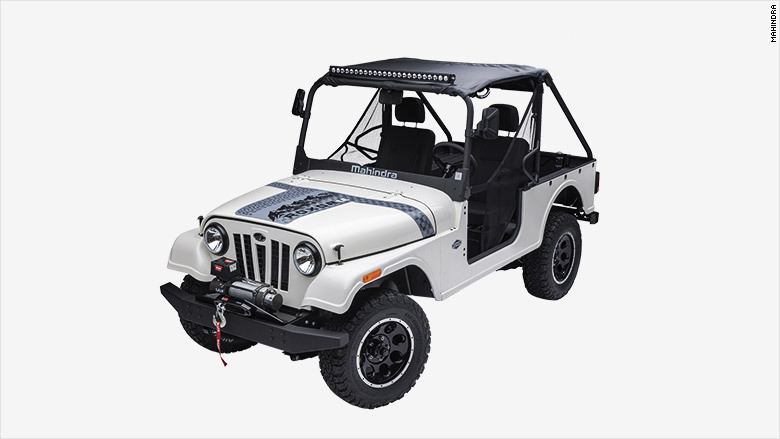 The Mahindra Roxor looks a lot like a classic Jeep because that's basically what it is. "This vehicle is close enough to the on-road space that you get a pretty good sense of whether people might like you or not and, frankly, the response so far has been overwhelmingly positive," said Hass. The response from Fiat Chrysler Automobiles, which owns the Jeep brand today, has not been so positive. FCA has asked the US International Trade Commission to investigate "Mahindra's intentional trade dress and trademark infringement of our Jeep brand" in bringing the Roxor to the US. ("Trade dress" means, essentially, the appearance of a product.) Mahindra issued a statement saying it disputes FCA's claims. For now, Mahindra's plans for the US market are, to say the least, vague. If the company does enter the US, its products will probably include at least something electric among its more traditionaly-fueled offerings. That will be in addition to Pininfarina's higher-dollar electric cars.